Saregama appa��s new feature gives you access to exclusive videos and songs from the maestros of classical music. Pandit Jasraj holdingA� the audience at the Mehrangarh Fort in Jodhpur captive with his magical voice. Kadri Gopalnatha��s saxophone serenading a crowd at Melukote in Karnataka. With Classical Studiosa��the month-old project of Saregamaa��the only modest feature would be the bite-sized duration of these specially-shot videos designed to reach out to the attention-sparse twitterati. Launched late last month, the video featurea��available on the Saregama Classical appa��has doyens of Hindustani and Carnatic music performing songs against the backdrop of historic monuments. a�?Therea��s no point lamenting that youngsters do not appreciate classical music enough. We need to make it available for them,a�? reasons Vikram Mehra, MD, Saregama India, explaining the decision to make it available through the app. Our rich repository of classical music and our monuments also entice foreigners, and this is an attempt to present both together and reach out to them, he says.The project currently features over 30 videos of our Hindustani and Carnatic icons, including Ustad Amjad Ali Khan, Pandit Jasraj, Viswa Mohan Bhatt and Hariprasad Chaurasia. Over 30 of the recorded 100 videos are currently available on Classical Studios segment of the paid app (`90 per month). With five artistesa��Balamuralikrishna, Kadri Gopalnath, Nithyasree Mahadevan, Rajhesh Vaidya and OS Aruna��Carnatic music seem under-represented. But MehraA� assures that is poised to change, with a plan of releasing videos of different artistes every third week. The feature scores high on novelty, even among the participating musicians. Gopalnath, at 67, says this is the first time he has ever recorded an outdoor performance, adding that he chose songs in rare ragams for the videos. Like the Thyagarajar kriti in ragam Dhenuka, Theliyaleru Rama. Or kritis in the ragams Nasikabhushani or Bindumalini. There is also a crowd-pleaser in the form of the popular Papanasam Sivan composition, Ennathavam Seithanai. Not all tracks in the Classical Studios feature have been shot outdoors. 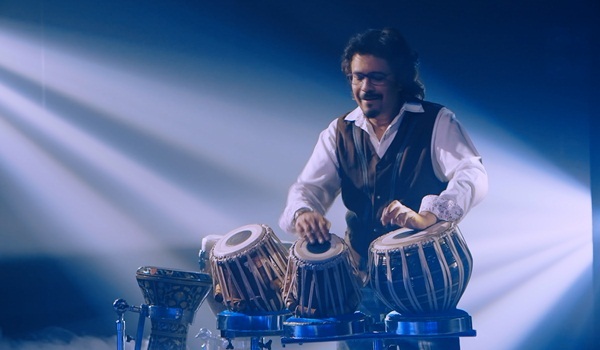 Like a few tracks by tabla artiste Bickram Ghosh, who has shot nine indoor tracks, which are likely to be released next month. a�?These include a couple of collaborative pieces with Mandolin U Rajesh and sitar player Purbayan Chatterjee. In those, I simultaneously use both the high-pitch and low-pitch tablas (which sound like the mridangam). This gives it the sound of a jugalbandi,a�? explains the 49-year-old. Also on the cards are a few outdoor shoots, he says. In another effort to popularise classical music, Saregama has also launched the Film Music segment, wherein popular film songs have been marked, ragam-wise, for listeners.